Time for another portable flatware set to look at in our ongoing series on Everyday Carry Cutlery. What with all things plastic being banned around the Fast Food world, it is pretty handy to have decent re-usable cutlery of your own. This set from KISSWILL is very metal. Created with high quality rust-resistant stainless steel that is dishwasher safe. It comes with a zippered neoprene utensil case for everyday carry. 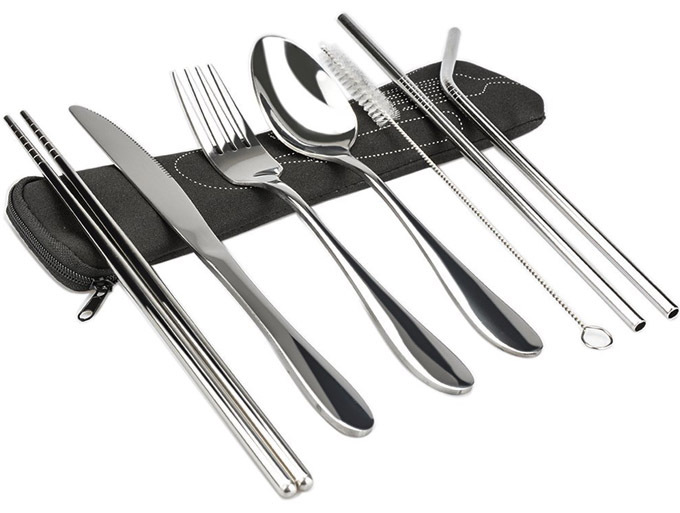 The seven piece set includes a spoon, fork, knife , chopsticks and two straws with cleaning brush. All that and a 100% Money back guarantee. But wait there’s more! It comes in rainbow multi-color as well! 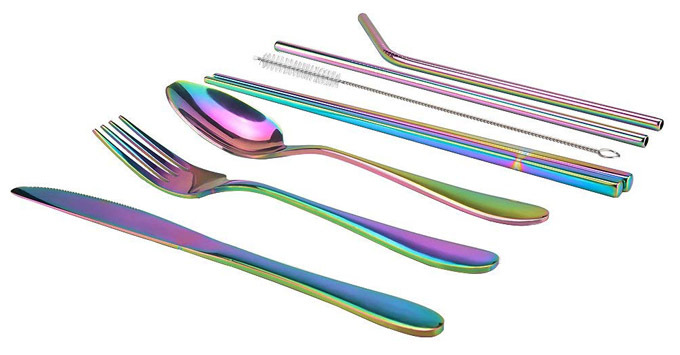 KISSWILL Travel Cutlery Set for Travel or Camping in RAINBOW!